Looking for a classic cream cheese frosting? 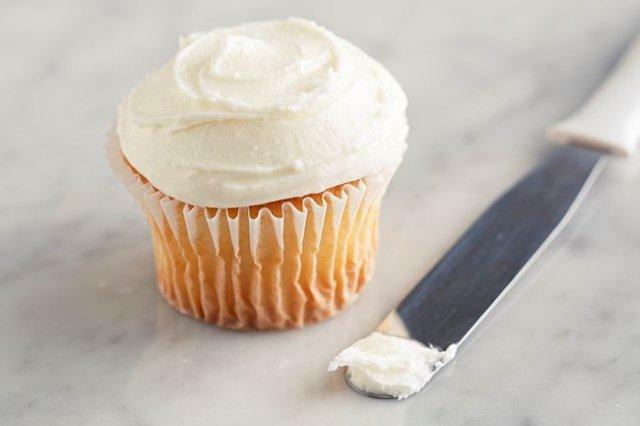 Our 10-minute PHILADELPHIA Cream Cheese Frosting might be better than Mom used to make. We won't tell. Beat cream cheese, butter and vanilla in large bowl with mixer until blended. Add sugar gradually, beating after each addition until blended. Gently stir 1/2 cup toasted BAKER'S ANGEL FLAKE Coconut into prepared frosting before using as desired. Store frosted cakes or cupcakes in refrigerator.